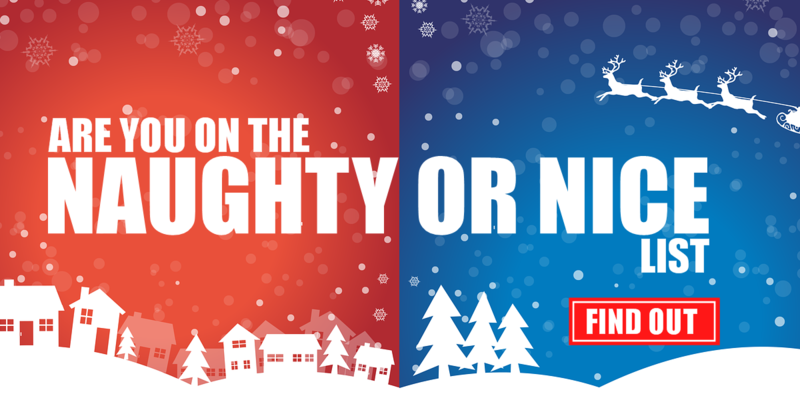 Take this naughty or nice quiz and find out which list you are on. Have you told a lie? Have you been petty or passive-aggressive?? Have you gossiped at all this year? D) Yes, in fact I will share this quiz just to gossip about other people's results. Have you started an argument for no reason? C) Yes, I enjoy getting people worked up. Have you forgotten a friend or family member's birthday? D) What do I look like a human calendar? Have you tweeted or told somebody spoilers for a TV show or movie? D) Here is a spoiler; this quiz is silly. Have you littered this year? Have you taken something that wasn't yours and without asking? D) Of course, they have insurance. Lastly, do you believe in Santa? ?